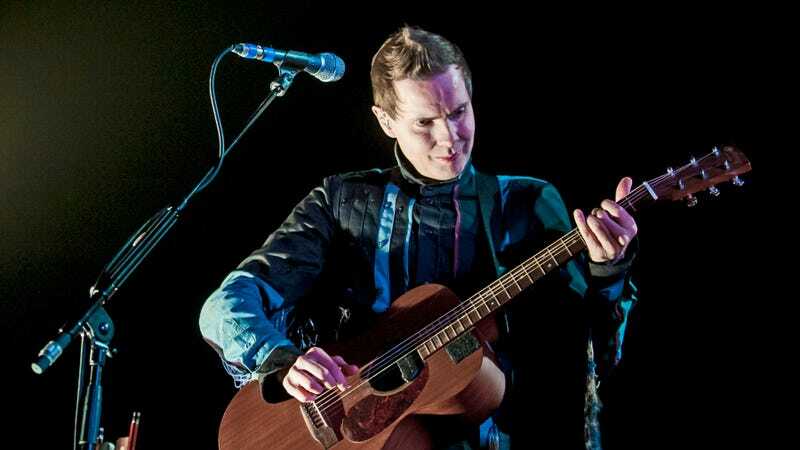 Jónsi isn’t letting a little thing like tax evasion keep him and his seesawing bow off the road. Today, the Sigur Rós’ frontman has announced a 10th anniversary tour for Riceboy Sleeps, the lush, enveloping ambient album he released in 2009 with composer Alex Somers. The 10-date North American tour begins in October, and marks the album’s very first full public performance. A one and done project for the two, Riceboy Sleeps has endured thanks to its glacial, celestial storm of acoustic instruments, the likes of which are were tailor-made to melt the anxiety from your shoulders. Sigur Rós collaborators Amiina and the Kópavogsdætur Choir are featured on the album, though these live performances will find the pair joined by the Worldless Music Orchestra. See a teaser video for the tour below. Tickets go on sale this Friday. Get more information at the duo’s website, click play on the below video for “All The Big Trees,” and check out the full list of tour dates.